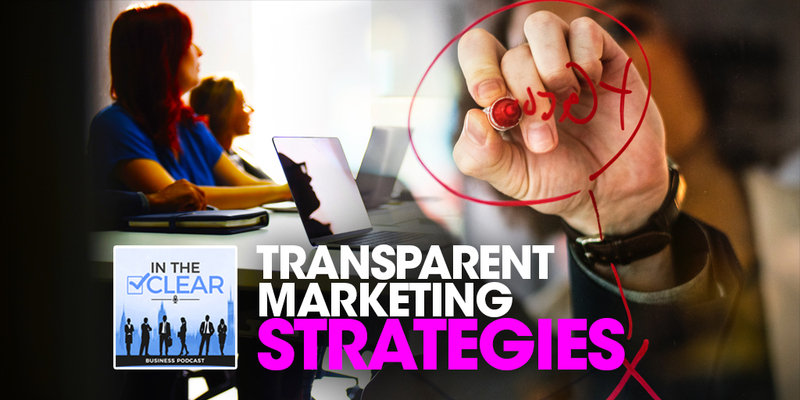 Being transparent is the new way of doing business. It’s the end of an election year and people all over are looking for change. Business is not exempt from change. 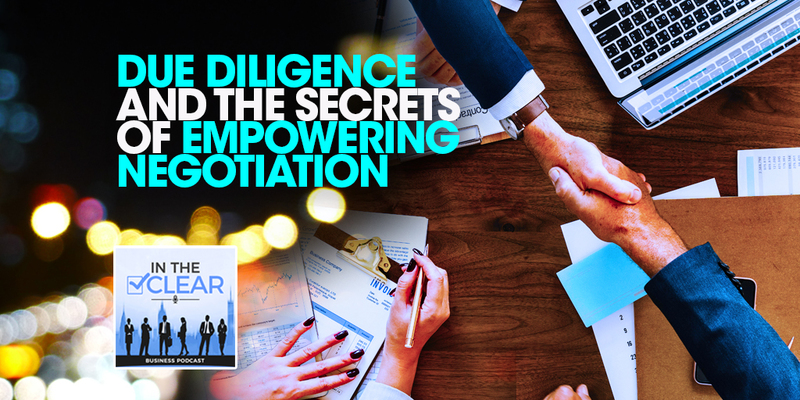 Listen in as we discuss how operating your in transparency can up-level your business. Welcome to the In the Clear Podcast. I’m your host Justin Recla, along with my beautiful wife, Tonya Dawn Recla. Moving on to the show now. You see that guy can actually plays onto the show. That’s true! I didn’t even think about that. This week we’re talking about Being Transparent, the new way of doing business. We see this a lot. we just got through an election year, and all sorts of whatnot around transparency and authenticity or whatnot. So, what does that mean for listeners in their business? This is such a great topic and it’s one that’s very near and dear to my heart because what I love are the companies that take risks with regard to transparency. There are so many companies out there right now that are doing things differently and connecting with their employees. We were talking about employee disengagement. That’s always been a topic like ever since I think the word employee was created. We’ve had issues with the fact that most folks who become employees do just enough to get by. I remember when I left government. I was an agent, when I left government the first time the first time I had to do this twice to make it stick. But the very first time, I sat on my couch for two weeks’ loss and I had to realize just what a crappy employee I had been. Even though it was government even though it was like the spiral and all those really cool stuff, at the end of the day the mentality that I had was someone was always telling me what to do. It was military government related stuff and how to do it and somebody was always watching over me and it creates this almost like getting by type of mentality. And then when I became my own boss it was top of that I look back on situations very differently after that point. But that employment disengagement the issues that come up when reputational stuff. You and I talk all the time about Nike and Elmo and all kinds, we could talk for days about situations that have occurred that really put companies under scrutiny, especially with social media. One of our favorite stories is the Cards Against Humanity folks. Cards Against Humanity. They come under some fire because it came out that their cards were printed in a factory in China. And so, go look it up folks they did this really awesome transparency what would you call the transparency campaign they were they basically came out and said look we get it our company our cards are meeting or are made in China. We’ve been with the same manufacturing group since we started. It’s a very small organization and they basically came out and showed the relationship between a small manufacturing company in China and the company here in the U.S. and what they did was absolutely amazing last year that they sold something like I don’t know a hundred thousand dollars’ worth of nothing. Oh me. Black Friday last Black Friday they said $100,000 of nothing. Literally you could buy nothing. And they what they did with that money is actually took that money and donated it to the workers over in the factory. And they basically bought out two weeks’ worth of production time from the factory paid them for two weeks’ worth of work. So, the employees could take an entire vacation. Right. That’s a great example. maybe we have some of the details wrong but it’s a great example of a company that people wanted to scrutinize and they came out said Yeah, I don’t think so. I read a story to Elon Musk recently did something similar and it’s just it’s one of those things where it’s like you can’t hide anymore. And I remember when Justin I came out of government and we really struggle with the social media thing. You can imagine in the field that we were in, you didn’t have social media profiles or if you did they were locked down and everything else and I got so frustrated because every time I turned around Facebook did an update and all my privacy settings got changed. So, the next thing I’ve made my account public and all this stuff. Now and we talked about it. And we finally just decided to be completely transparent about everything is like just get that there are no secrets anymore. Like it’s very difficult to keep information sacred. And once you put anything on a computer it’s very hard to really secure it. And so, in a lot of ways the transparency conversation was pushed kicking and screaming I think, by technology. Wouldn’t you say? I would definitely agree with that. With the age the information age that we’re in nowadays with Facebook social media, everybody having an opinion of what’s out there. Anybody can be able to twist what somebody else thinks. Somebody can have a perspective on what was said and now it’s a whole news article, and that’s not really what happened. Did such-and-such actually say such-and-such. And anything can be photoshopped now! You can even Photoshop voices now! So, it’s absolutely crazy. So, from a business perspective the best way to weed any negative feedback or any type of publicity that you’re getting that’s unwanted, is just to be completely transparent about whatever the issue is. And that starts with having a transparent culture. It’s one of the reasons why we created the Clear Business Directory was to allow businesses to operate from a place of transparency so the user can see what your business history is what your business is about because see the good the bad, and they can make a decision from your place because it speaks volumes not only to you as the principal of a business but to your business itself by putting everything out there for people to see. And it’s an it’s a balancing act. So, we do a lot of exercises in the workshops that we teach in the trainings that we do, and we’re not talking about you having to share your deepest darkest secrets with the world. This is being middle road folks because one, what is important for you to share. What is essential for people to know if you run a company with multiple level, you’ve got your management you’ve got employees and everything else. There is always certain information that not every level needs to know about. There are some IP security situations, some intellectual property concerns that you should have within your company on a need to know basis. That doesn’t mean you share everything with everyone. What it means is that if something is pertinent to that person’s role, if it’s something that that there’s a good chance they’re going to find out about it’s going to get leaked somehow, come up with a strategy a way of communicating that that says look we know that people have some concerns right now. We’re doing the best that we can. Here’s the information we can share with you as information unfolds that we can share with you we absolutely will. But it’s more than just addressing a situation at the height of it. It’s doing exactly what Justin said, which is developing the culture of transparency from the beginning. And so, having open door policies, being approachable. All of that stuff lends itself to trust which is ultimately what we’re talking about here is that there’s no point Being Transparent if people still don’t trust you. like you can’t just throw a bunch of information at people and not take any accountability or responsibility with it. Part of having a transparent culture is making sure that you’re using transparency to instill trust and to gain that trust and to give that trust as well. Well what’s amazing with that is if you win once you what you create the transparent culture which YOU. Operate in that the method of doing business operating transparently, what it does then is literally raises the bar because now if anybody comes into your culture, into your business, whether it be a client or employee that doesn’t operate from that same level that you do, you’re going to feel that you’re going to know knowing you’re going to automatically pick up on this person is not authentic and then you get to choose whether or not you want to do business with that person or not. Absolutely, and that goes back to what we preach all the time about having a due diligence process and setting some filters in place that make sure that culturally a person is a good fit, as well as, what we talk about mechanically making sure that the background checks out on that person and they’re not going to bring something reputational into your company that destroys that culture. You can’t say on one hand that your culture’s all about respect and love and trust and all these other things, and then turn around and hire somebody who’s got a history of ripping people off or whatever. That’s a bad statement. And they’ve even taken on in their slogans Transfarency. Oh, I forgot about that. That’s right. So, they did a really great whoever was advising them did a really great job of encapsulating all of that in. But even as a small business you don’t have to have the deep pockets at Southwest to do that thing. You can really create a situation where people enjoy being a part of what you’re doing. Oftentimes we think that it’s money that really motivates people and drives people and money is a very poor motivator. It’s never enough. There’s tons of studies done on this. There’s tons of books written about it but people want to be a part of something they believe in. And when you develop a culture within your company that gives them a piece of that and helps them feel like they’re contributing to something. It really changes how people show up for work. Exactly. 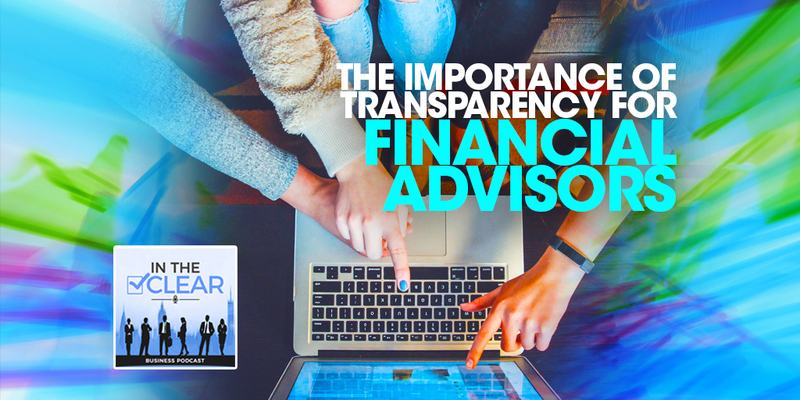 And again, that’s one of the reasons why we created the Clear Business Directory, to allow those businesses who are ready to raise the bar on operating transparency operating transparently. They can do that. they’re not looking for a peer review. They’re not looking for a business rating in there they’re just wanting people to know hey this is who we are, this is where we operate, we believe in transparency and this is these are the people in the other businesses that we want to operate with. And sometimes it’s just as simple as saying look we’re legit. You won’t believe the number of industries we’ve looked into particular companies and some are worse than others. Really for a company to just stand up and say look we’re legit and this is why we believe that we can do it we can do and here’s are our examples of that, and that’s been verified. That’s huge. People are so tired of being ripped up. We’re very skeptical of society anymore because of all the things we mentioned earlier about technology and social media. It’s an ongoing running joke in our house, video beyond. I’m like, unless I’m standing there at the scene or engaging it for myself, I’m not overly convinced one way or the other only because I know how things can be spun and how they can be manipulated to evoke a response. So, for a company to say look, I really want people to know that they can trust us, we are legit, we have a solid business entity, we have some sort of experience in this arena, and we feel like we do good work for people. That used to be the standard. And unfortunately, it’s just not anymore. And that’s because the Internet’s made the world such a smaller place than anybody and everybody can throw their hat into that arena especially on the business perspective and so the Clear Business Directory helps separate out those that are willing to operate in transparency and raise the bar and how business gets done to show their particular clients that hey look we are legitimate We are our transparent business. And in that goes that goes because miles for clients. Think about it folks, it used to be that if you didn’t do good work you didn’t get business because you’re you are in a small town or the community or your market niche was so small but like Justin said the smallness of the world anymore. You can have tons of clients online that you never meet but it just makes it that much easier for people to be deceptive and to do shoddy work. And that’s really, I think what we’re up against and what’s feeding all of that. Exactly and that’s why operating transparently, Being Transparent is the new way of business. And if you’re ready to raise the bar on your own business and stand out from the crowd, take a look at the Clear Business Directory at ClearBusinessDirectory.com, and make sure your business is In the Clear.